ScopioneUSA.com - Blog - Will the Nissan Frontier Incorporate a Cummins Engine? Will the Nissan Frontier Incorporate a Cummins Engine? The 2014 Chicago Auto Show will reveal whether Nissan will be putting a new power train into their Frontier Desert Runner pickup truck. Word is that Nissan will feature an all-new Cummins turbo diesel 2.8L inline four cylinder. You can call it Nissan’s test balloon. Depending on the reaction of car enthusiasts, we’ll see if this engine makes it to the midsize pickup! In response to the US Dept. of Energy’s ongoing study of ecofriendly pickup trucks, Nissan used the Cummins engine on two previous versions of their Titan line of trucks. The Advanced Technology Light Automotive Systems (ATLAS) project began in 2010. For its latest update, which occurred in the spring of 2013, ATLAS put smaller diesel engines in the Titan series. 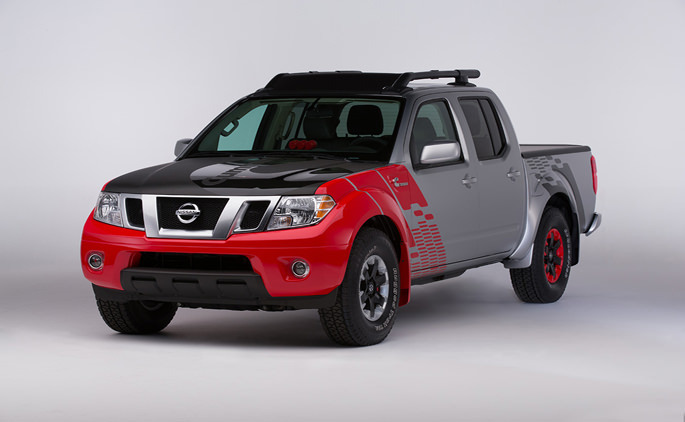 Nissan is now attempting the same for the Frontier version which is roughly 1,000 lbs lighter. The Department of Energy (DOE) reported that the fuel economy of the updated Titans was approximately 26 mpg. Because the Frontier is much lighter, it’s bound to be more successful than its predecessor. The torque ratings for the newer engines are rated at roughly 385 lbs – feet, and generate about 200 horsepower. When considering the size of Frontier, a smaller turbo diesel engine makes more sense. GM also believes that the engine will sweep the future, since both the GMC Canyon and Chevy Colorado have turbo diesel engines. What it boils down to is the price of diesel compared to standard gas engines. 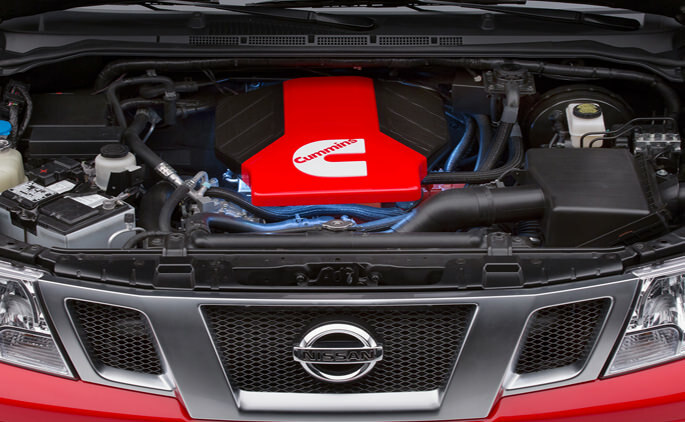 Additionally, the 2.8L I-4 Cummings engine will likely weigh more than all the aluminum 4.0L V6; it’s no wonder Nissan chose to add a little more power to the Desert Runner! Nissan has admitted that engineering the Cummins engine along with the ZF eight-speed transmission is a difficult task. Yet, they wish to deliver a vehicle with exceptional fuel economy for today’s consumers. Talk about commitment! Click here to view our Nissan collection of carbon fiber parts! ScopioneUSA offers the best in carbon fiber for automobiles and motorcycles at low, affordable prices. Carbon fibre is a unique material that is stronger and more impact resistant than steel, yet weighs only a fraction of the amount. 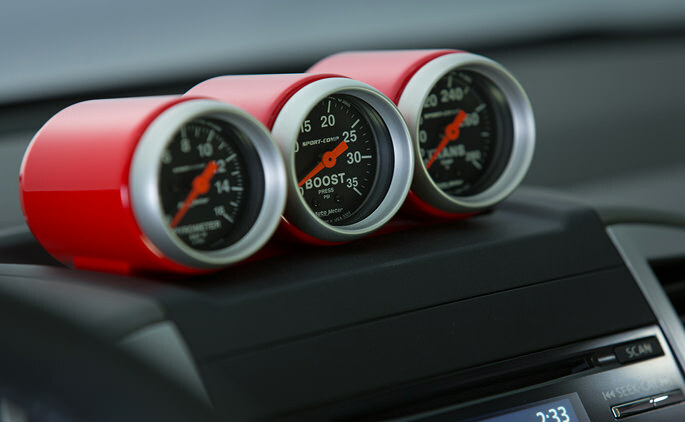 In addition to standard parts and accessories, ScopioneUSA also provides mods or custom modifications that are specific to your needs! You can find carbon fiber car accessories and auto parts for the lip, hood and trunk as well as bumpers, spoilers, and grilles. For your motorcycle, we offer side covers, panel protectors, clutch, and many other carbon fiber crafted parts. Let ScopioneUSA be your go to shop for all of your aftermarket carbon fiber parts and accessories!